"I have this reel for over a year and I catch snook to redfish with it and no problems what so ever!! Daiwa#1 watch out Shimano"
"I have used my Tierra over 25 times since March with no problems in both fresh and saltwater outings. I will be buying a second Tierra shortly." They're good from Crappie to Stripers.......Dynamite!" 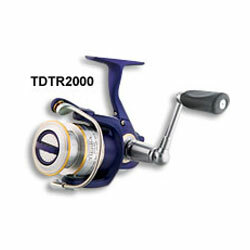 "The Diawa Tierra spinning reel is a well balanced, long casting, and smooth running. If that is what your looking for and good value, then this reel is for you. I love mine."